Canine Stress Syndrome (CSS) is a genetic disorder that, fortunately, occurs rarely. It can potentially cause a fatal response for a dog if certain triggers are present. CSS is also known as malignant hyperthermia. 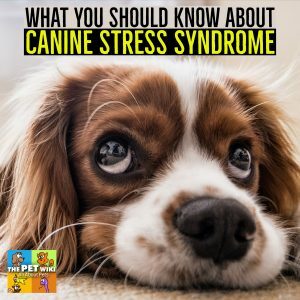 Some dogs in highly stressful situations or who are over-stimulated will show symptoms such as muscle spasms and an elevated body temperature. Other signs include increased breathing rate, increased heart rate, muscle rigidity, changes in blood pressure, bluish color of mucous membranes and skin, fluid in lungs, dehydration, inappetance, weakness, seizures, kidney failure and more. If not treated quickly, the dog can go into cardiac arrest and die. Anesthesia is a strong trigger. Within 10 minutes of administration, carbon monoxide blood levels may be raised. Anesthesia should be discontinued immediately to prevent a fatal reaction. Inhaling drugs such as halothane, isoflurane, desflurane, can be the culprits. Other triggers include over-exercising, excitement, apprehension, some muscle relaxants, over-stimulation, any stress, foods that contain caffeine or hops, vaccines. Breeds who may carry the gene are Bichon Frise, Border Collie, Golden Retriever, Labrador Retriever, Greyhound, Pointer, St. Bernard, Springer Spaniel. When symptoms are observed, due to the severity of the disease, treatment may be administered before diagnosis is made. 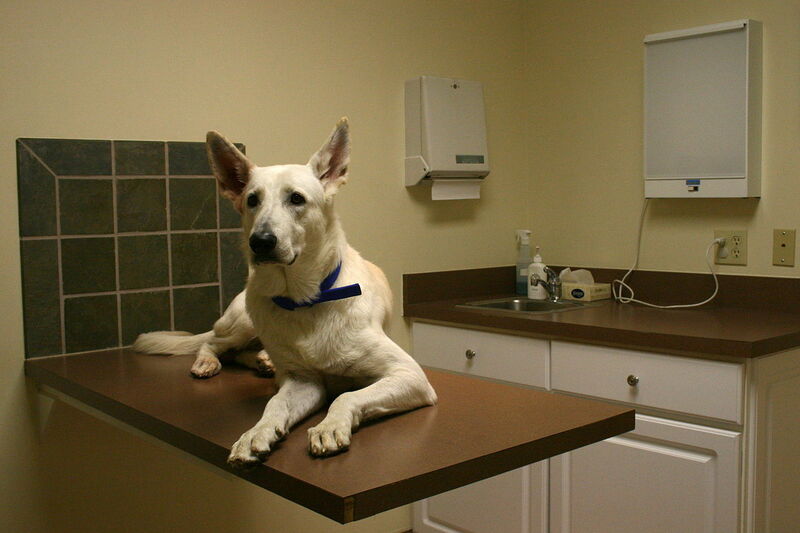 There are several different tests that your vet will administer to discover if your dog is suspected of having CSS. If you think your dog is at risk,your vet will test for the defective gene, particularly before performing any type of surgery. While there is no treatment for CSS, it can be managed by your vet. Surgical procedures will be kept as short as possible. Certain drugs can be administered prior to surgery. At home you can help by avoiding stressful situations. Don’t over-exercise or over-stimulate your dog. Feed smaller frequent meals to keep glucose levels normal. 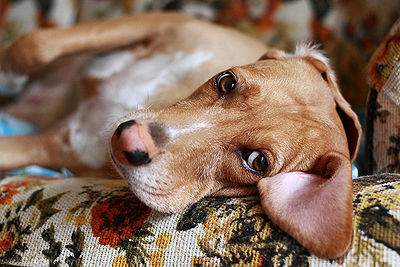 Try natural remedies to reduce your dog’s stress level.